Many people crave fulfillment; for some that means changing their lives and those of others by leaving their job and starting a nonprofit. Whether it is the dignity of having enough to eat, a place to live, or caring for the environment, people want to help. Henry David Thoreau wrote, “Many men lead lives of quiet desperation.” In today’s terms, there are women and men who wonder if a 9-to-5 job is all there is to a successful life. You may be reading this article because you want to make a difference; you want to be different. There are a millions of causes dedicated to improving lives and changing the way the world works: environment, health and human services, clean water, endangered species, and so many more. All it takes is a passion, a vision and the willingness to move forward. Running a nonprofit doesn’t mean going broke and becoming homeless. As founder and executive director of your nonprofit, it’s perfectly reasonable to expect a salary. In addition, if you are using your home or other real property in your nonprofit work, you can pay some or all of those costs from nonprofit funds. Your NPO can also pay the costs of other personal assets used in your nonprofit work, such as your car, computers, printers and Internet access. Ask your family and friends for their support. These are the people you trust to give you good advice and it may be they will be willing to add financial support too. If you think they are in a position to help financially, ask them to be your first donors. Similarly, ask your board to pitch in financially. In addition to the expertise board members bring to the table, in most cases, nonprofit board commitment extends to financial support. Board members also have networks of friends and business associates, in other words: potential donors to your cause. If your board believes in you, and they must or they wouldn’t be on your board, they will help you raise the funds to make your operation a viable one. 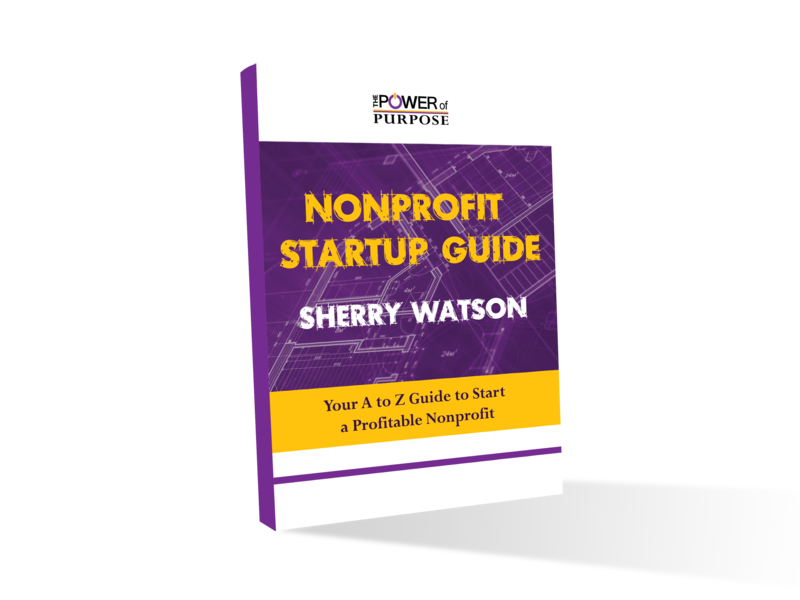 The point here is not that you need to save up to start the nonprofit you dream of, rather it’s that there’s no time like the present to step into the unknown. Purposefully living a meaningful life will enrich the quality of your life better than money ever could. Helping others because you care and because you can will help you face the challenges ahead—and there will be challenges. If, like Thoreau, you want to live a deliberate life, then follow your instincts and do it. You’ll create, and live in, a better world.